Boy, Blogger is a mess. Some folks have it bad - losing entire blogs, format or design changes, etc. I feel their pain. The only thing I lost was a draft for a new column we're debuting this week, so it was nothing major. I really doubt I'll be getting that back. No biggie; I'll give it a few more days before I try another rewrite. I did learn my lesson, though. Back up everything! One thing that is understandably frustrating about the whole shutdown is Blogger's miserable attempt at keeping everyone in the loop. They posted generic updates on Blogger Buzz or Twitter with something along the lines of, "Most blogs should be restored by now, but we're working on getting the comments back." This pissed off a lot of people who were not only still missing posts, but wanted to be able to log on or edit older posts or add new ones (just visit Blogger's Help Forum for a glimpse of the nightmares some folks are going through). The system has been very buggy for quite a large group of people and there is no one to talk to, no customer service, no timeline or updates regarding any specific issues. For three days straight, all we got were "we are working on it" responses. I don't think Blogger has a clue. When the smoke clears, I'm going to bet a lot of Blogger folks are heading to Wordpress. One day last week, I was home with the kids. They were taking their usually scheduled naps during lunchtime when I accidentally came across The Last Starfighter on HDNet Movies. This killed my chance of getting anything productive done during their naps. I loved this movie. I hadn't seen it since maybe high school or college and, to my delight, it holds up surprisingly well. Despite the cheesy effects, the HD transfer is crisp and sharp. It came out in 1984, that amazingly influential, groundbreaking year of blockbusters and franchise hits. It belongs on the same list as the popular titles of that year: Temple of Doom, Karate Kid, Beverly Hills Cop, Ghostbusters. This movie got a lot of replay action at my house when I was growing up. The experience of watching it again at age 33 brought a whiff of nostalgia. The jaded, critical side of me laughs at the low quality of the screenplay and the shallow mythology of Kur and the Kodan armada. The cringe-worthy dialogue was hilarious! It's amazing how perspectives change as you get older. But dammit, it's still an engaging, even rousing science-fiction adventure with a really cool setup - a young man plays a video game, beats it, and gets recruited by Centauri, the game's alien inventor whose car doubles as a spaceship. What gaming-obsessed kid wouldn't want that to happen to them? 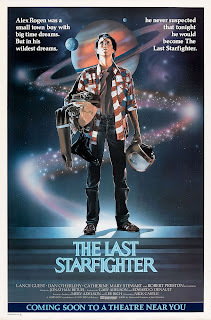 The Last Starfighter belongs on a new list: movies to show my 3-year-old son when he gets older. So that's what Natalie has been up to! I love, love, love this blog. Red Dirt Lattes. It's written by a woman who leaves a cushy life in the states to travel abroad with her husband and toddler. Her words are as lyrical as her photographs. She provides glimpses of life in the smallest corners of the world. Her posts are observant, insightful and deeply poetic. And what makes it even cooler? 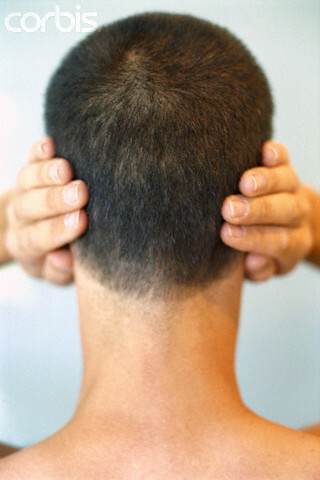 The author of the blog is none other than Sabrina Lloyd. It's Natalie from Sports Night! Martha Marcy May Marlene. It's one of my most anticipated movies of 2011 based on three things only: the title (it rolls off the tongue nicely, doesn't it? ), Sundance buzz (there is nothing sexier than a small film embraced by a large movie-loving crowd) and the fresh young face of Elizabeth Olsen. I have no idea what it's about. I haven't even seen a trailer. I have seen and heard enough to know that Martha, Marcy, May and Marlene are all calling my name. Close behind on my ever-growing must see list is also an indie sensation, this one buzzing about loudly at this week's Cannes Film Festival. We Need to Talk About Kevin, with Tilda Swinton, is already garnering Oscar talk for the uber-talented actress. Could this be her year? She plays the mother of a kid who killed several of his classmates at a school shooting. Think Elephant, from a fresh perspective. John C. Reilly is her husband, and Lynne Ramsey directs. Queued! Upfront season is here! This is the time of year where the networks clean house. They were brutal with some surprise cancellations - I counted about 15 shows that got the axe, some prematurely. As for pilot pickups, I'm glad Wonder Woman was not selected. Adrianne Palicki (Friday Night Lights) is an extraordinarily gifted actress. She deserves a leading role on a prime time show but not this one. She is probably better suited in something smaller and, preferably, without shiny pants. I am a bit bummed about NBC's shutting down of the J.J. Abrams-produced pilot Odd Jobs, which would have reunited Lost's Terry O'Quinn and Michael Emerson. In a cruel twist of fate, I believe CBS did pick up Persons of Interest, a J.J. Abrams-produced pilot starring... Michael Emerson. Better luck next time, John Locke! Also picked up: Pan Am (a 60's soap set in the world of stewardesses and pilots), Charlie's Angels, a Tim Allen sitcom, a Prime Suspect reboot, The Firm. Why is next season feeling so... familiar? Nothing really intrigues me. I'm ok with that. I still need to catch up with Justified, Breaking Bad, Damages, etc. Thanks to Netflix, there is plenty of quality fare to keep me entertained. 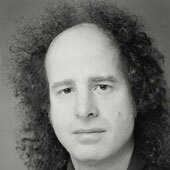 I saw Steven Wright walking on 8th Ave the other day. It was a beautiful sunny afternoon, and the evening commute was among us. One strange thing about seeing him: he looked like he just woke up. Scruffy, unkept, yet oddly observant of those around him. Was he in writing mode? I was afraid he was going walk into city traffic to end his misery or something. I wonder if a conversation with him is like his stand up. Can you imagine him delivering lines with his monotone voice, as he converses with you? My watch is three hours fast and I couldn't fix it. So I moved to New York. There's a pizza place near where I live that sells only slices. In the back, you can see a guy tossing a triangle in the air. What happens when you put a slinky on an escalator? If a mute kid swears, should his mother wash his hands with soap? Do the people in Australia call the rest of the world "Up Over?"